Jennifer opened the meeting welcoming all members. Today we continued the dialogue and learning from the August Meeting presentation, “Storytelling to Win!” by Linda O’Connell. Linda provided a worksheet at the last meeting for members to take home and work on crafting their organization’s story to Inspire, Convince and Compel. Organizations who had time to prepare a draft shared them in round robin groups today. Those who did not have time to prepare a story provided feedback for those who shared stories. Create an “a-ha moment” for you. Pamela Willoughby of Mind Your Meds was the member spotlight this month. Mind Your Meds provides medication management solution services for seniors. They are a new organization, started in June of this year and are working on their 501c3 nonprofit status. They help give peace of mind to caregivers and help keep seniors healthy and out of the hospital. The provide automatic dispensing systems, etc. and also help to provide reminders such as insulin reminders to test blood sugar and to eat after taking insulin. They want to be able to provide services for free to those who cannot afford it. The members broke out into small groups for storytelling and feedback. Members rotated every six minutes to share their story or provide feedback with a new group. John and Maureen of BASCA led with a strong opening impact, “Imagine your childhood…” Then, feedback received helped them to revise their closing with a good call to action to sign up for a newsletter, etc. And these are just tidbits of some of the many great conversations shared in groups! Perhaps one of the most important reminders was to KNOW YOUR AUDIENCE and know that people are inspired and compelled by different motivators (e.g. some people are research oriented and if you make an impression on them they will go research you later to learn more such as to signup for your newsletter; and yet other people need to be hooked on the spot). Lee of CJ Acres Animal Farm shared his 3 minute story of how they also help humans. They don’t just rescue animals; they ‘rescue’ people too. He shared an example of 16 year-old Kaitlyn who was very shy and needed to gain confidence. She volunteered and they placed her with taking care of Angel, a blind horse. She had to talk to Angel in order to “communicate” with her since Angel was blind. Kaitlyn gained the confidence to lead around a 1,000 pound blind animal and that confidence spread into her school life and social life. She graduated Valedictorian of her senior class and went on to college to go to VetSchool. CJ Acres helps animals and people and cares deeply about their volunteers. Jennifer closed the meeting and thanked all for coming. She asked for any announcements, drew the member spotlight card and promoted the October meeting. Art Enrichment Program of Clay is looking for volunteers to share art in elementary school classrooms. Orientation/Training is 10 a.m to Noon on Oct 1, 2, 3, and 4. You only need to attend one of those days. You pick the date and no reservation is required. Classroom 43 at Lakeside Elementary. Leigh Ann of the Clay County Chamber of Commerce said they have a special membership package and discount right now for nonprofit members. Call Leigh Ann at 904.264.0718 for details. For additional announcements check shapingclay.org and our Facebook page. You can add your nonprofit event to both resources. The basket was passed for business cards, to select our member spotlight for the November meeting. The October member spotlight is being postponed due to the special meeting. Paul Frendahl of Mercy Network will be our member spotlight speaker in November. The next meeting is Friday, October 26th at 8:30 a.m. – 10:00 a.m. at Haven Hospice, 745 Blanding Blvd., Orange Park. The guest speakers are “Improv Specialists,” more details to come soon on the website. This meeting will also be open to all members of the Clay County Chamber of Commerce so it will be a great opportunity to network with other business professionals in the community. The response to this powerful topic was so energizing, we are going to continue the conversation at the September 28th meeting. 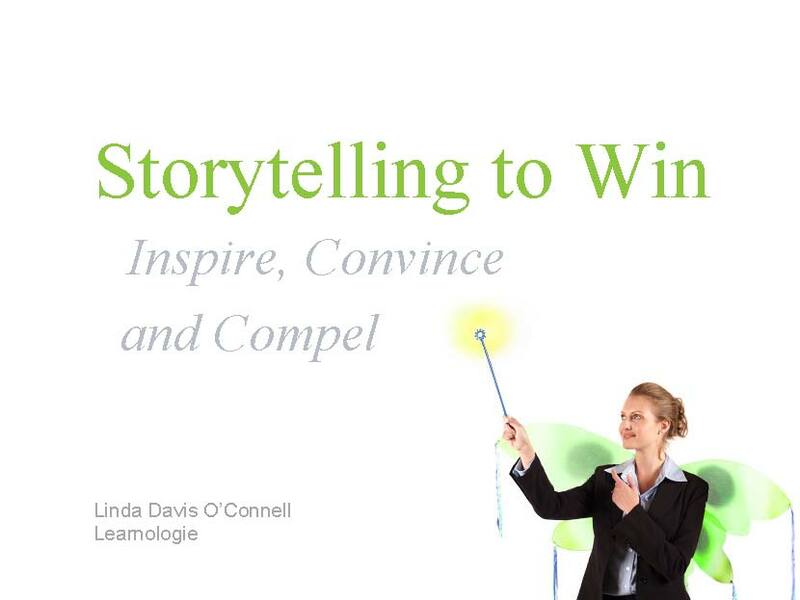 Don’t worry if you missed the August meeting because you can download Linda’s presentation in which she shared with us how to craft stories that are credible, succinct and emotionally powerful. These stories will enhance your data, engage your listeners, illustrate value and long be remembered. In addition to her presentation, we provide here the presentation learning points and the easy to follow Story Building Activity worksheet so you can easily catch up and join the conversation in September. Please review the compelling material and prepare your story ahead of time so we can learn and grow from each other. Show the value of the essential work that you do everyday. Help people see the value of what you do, see the inspirational things that happen in your day- to- day operations. Make your stakeholders feel something about what you are doing. They may not remember the details of the story but they will remember how the story makes them feel; it convinces them the value of what you do. Storytelling can be a professional game changer. They capture intangibles that your data cannot show. Stories are remembered, especially for how they make people feel. Stories are powerful and quick: In the elevator you can respond to the question, “How are you?’ with “I am great, let me tell you something great at my agency yesterday….” you use it as an opportunity to influence someone! Stories engage many parts of the brain; they are multi- sensory. The are much more entertaining than data. They provide a deeper richer connection that makes more of an emotional impact. People pay attention to stories. Stories inspire action, get people to do things that you want them to do. Clarify desired results. What is your objective? Appeal to the pleasure/pain principle. Gather credible evidence using anecdotal evidence, what people tell you, how your service is making a difference in their lives. Assume people believe you and that you are telling the truth. Observe what is going on in your organization and document that and come back and tell that story. Open and close with impact compelling proactive statement close with impact extreme clarity about what you want them to do. Paint a vivid picture, make the emotional connection, give details, to create picture help them understand a variety of feelings what is going on in your organization. Clear problem/clear solution –Problem: we have to turn people away/ Solution: we need to add more staff. Show value linked to your business goals. Include credible evidence whereby you tell about an individual with needs you can or have fulfilled– build your case. Do not be overly dramatic don’t allow the sappiness be a distraction. Keep it business- like but powerful. Do not offend—be mindful of cultural, gender, religious value differences. Be succinct, quick, and not too verbose. Write a story about something that you have accomplished…Don’t play small, start talking about the great things you are doing in your non profit! Now it’s your turn…use the strategic “Storytelling to Win” worksheet to craft your story and be ready to share it and give feedback to your fellow Shaping Clay members on September 28th.